How Much Does Your Trip of A Lifetime Cost? TripAdvisor revealed its TripIndex Experiences of a Lifetime, which shows the travel costs associated with some of the world’s most iconic travel opportunities. According to TripAdvisor, research for the list was conducted in partnership with independent research firm Kantar TNS. The results outline the cost, per day, for two people to take a trip to 10 of the world’s most popular once-in-a-lifetime experiences. This includes the cost for roundtrip airfare, an airport taxi, a stay in a four-star hotel, a dinner and a day tour in the destination. 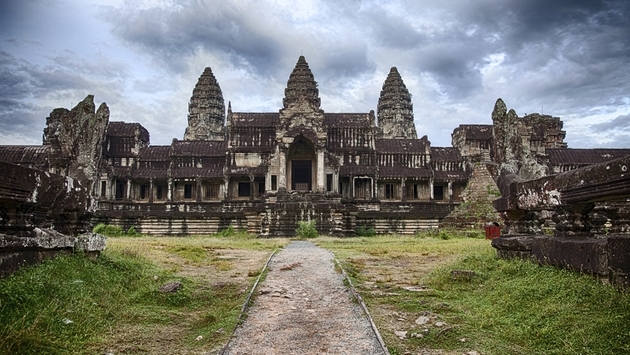 The survey concluded that, when it came to value, Angkor Wat was the clear frontrunner. A weeklong for two was under $3,000 at $2,971. Experiencing the Grand Canyon was a close second. For one week, a couple could experience the destination for approximately $3,000. Going to Santorini, Greece, was the most expensive of the 10 once-in-a-lifetime experiences, mostly due to airfare, which was in excess of $2,000 per person, roundtrip. Third on the list was the Great Wall of China, which was just shy of $4,000 for two people. A trip to the Taj Mahal was around $4,330. A South African safari could be done for $4,332. The Galapagos Islands were reachable with just $4,616 for two people. Visiting the Great Barrier Reef was around $5,600. Seeing the Northern Lights in Reykjavik was at the top of the list at $5,877 and Machu Picchu was just under $6,000 for a one-week stay.